Cilantro!? What in cockadoodle is cilantro? I got your four basic food groups! Beans, bacon, whisky and lard. So we honored Cookie’s cooking style and used no cilantro, cinnamon or oregano in our 3 bean bacon whisky and lard baked beans. Add beans and remaining ingredients, stirring to combine. So the Atlantians feed Milo and his crew. All the food is stuff that doesn’t exist outside of Atlantis, so it’s kinda hard to recreate that meal. But the Disney animators took inspiration from ancient Southeast Asian cultures. Milo’s yellow mush dish kinda looks like Yellow Thai Curry, so I made that. I made some flat zucchini noodles to replicate the green noodles that Milo slurped. Stir curry paste into oil until smooth. Add chicken; stir to coat each piece. Pour remaining coconut milk, chicken stock, onion, potatoes, and chile peppers into curry paste mixture. Bring to a boil, reduce heat to low, and simmer until potatoes are tender, about 30 minutes. Meanwhile slice the zucchini into long flat strips. Serve on top of zucchini and rice. Is it Better than Finding the Shepherd’s Journal? Both dishes were really good. 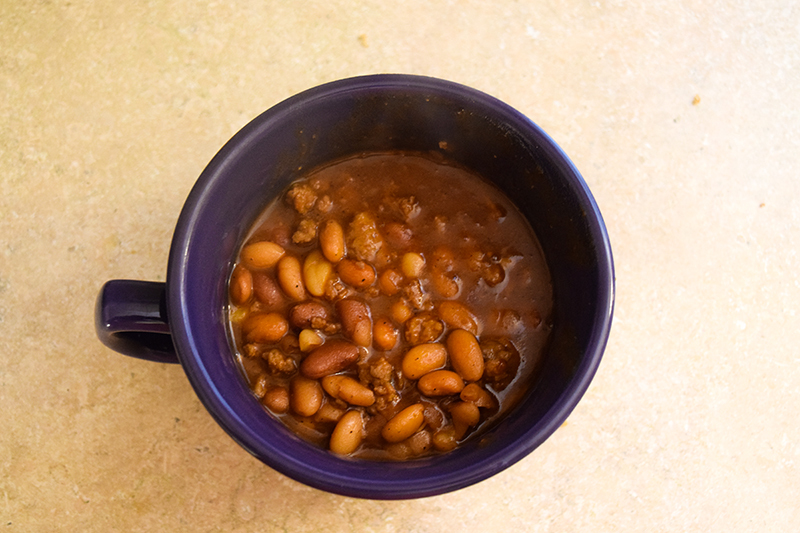 We added too much sugar to the baked beans, so I adjusted the recipe before I posted here. It should be good now. 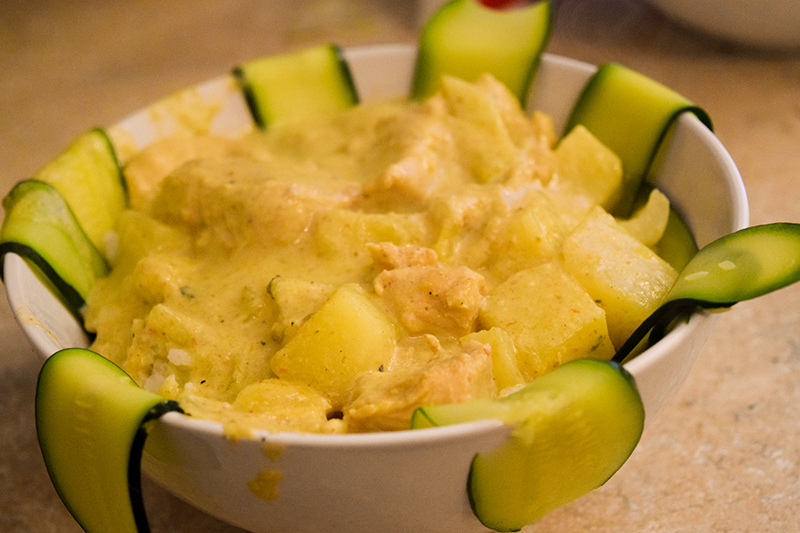 And the Yellow Curry Chicken was tasty. I think the Curry looks delicious! Thanks!